It’s time to celebrate the Year of the Dog. 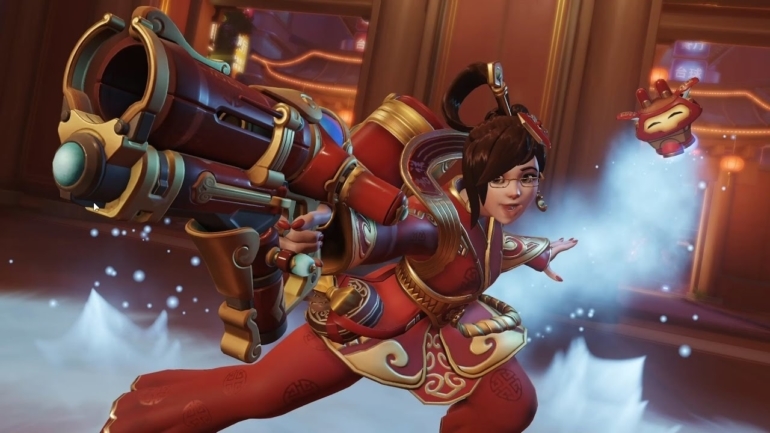 Overwatch’s heroes are getting ready to celebrate the Lunar New Year. Overwatch’s Year of the Dog celebration is a follow-up to last year’s Year of the Rooster event, which brought a ton of new skins, sprays, and emotes to the game. A capture the flag mode also arrived in Overwatch with the celebratory event. Blizzard hasn’t said whether it’ll bring back the limited-time event for the Year of the Dog event. It’s possible we’ll see a new mode with Year of the Dog, as Overwatch’s capture the flag mode is available in the game’s custom game menu. Overwatch’s Year of the Rooster skins will, however, become available for a second go-around, offered at a discounted price. Characters last year got skins inspired by classic Chinese tale Journey to the West.